Skilfully folded, artfully crafted into an exquisite morsel of soupy delight – 18 delicate folds on the skin that can sustain the tension of a pair of chopsticks, before being rested on the porcelain spoon. 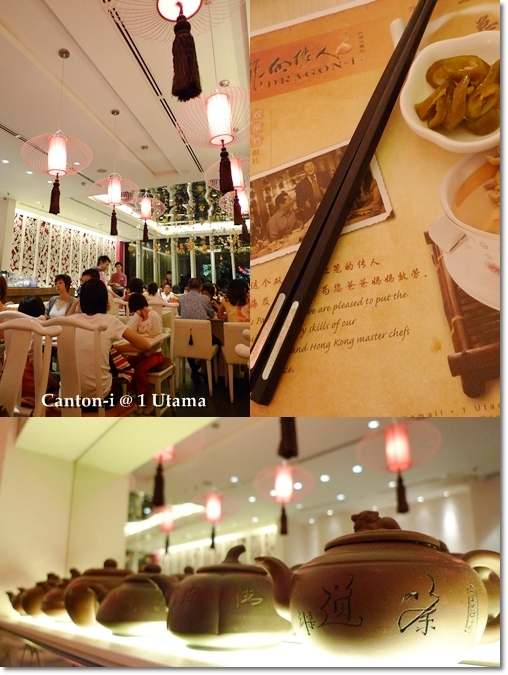 Din Tai Fung, Dragon-i and Canton-i are three household names when it comes to Chinese restaurants in Malaysia. A newer generation of chain restaurants with prominent branding, the younger crowd may not even recognize the Tai Thongs, Esquire Kitchens, and Hee Lai Tons from the days of yore. 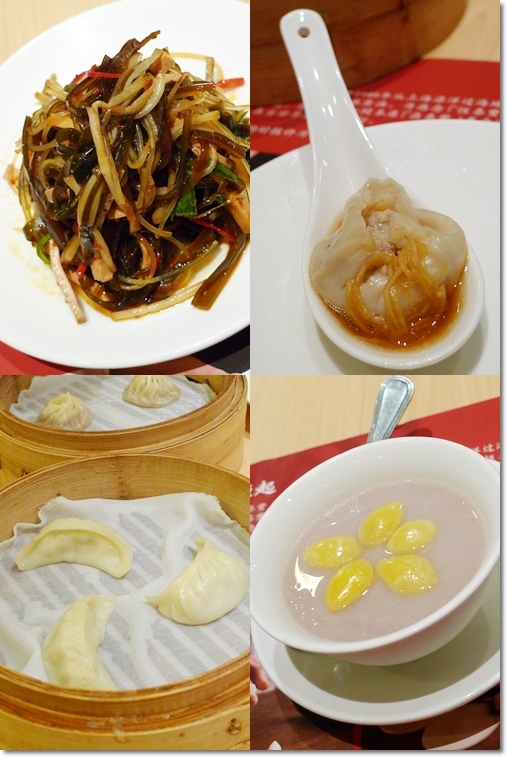 Clockwise from top left : A cold appetizer of various finely-julienned ingredients, Perforated hole on the XLB (Xiao Long Bao) so one can sip on the warm, delicious broth from within, The dessert named “Or Nee” or steamed yam paste, and Fish Dumplings in trios; part of the RM19.80 Value Set. Dragon-i and Canton-i are under the same umbrella company, and expanding enviably across Klang Valley and Penang. I have yet to see an outlet of theirs in the other states, so please correct me if I’m wrong. The former specializes in Shanghainese cuisine, with the famous Xiao Long Bao (steamed small dumplings with minced pork fillings in soup), and La Mian (a type of Chinese hand-pulled noodles served in a variety of manners). 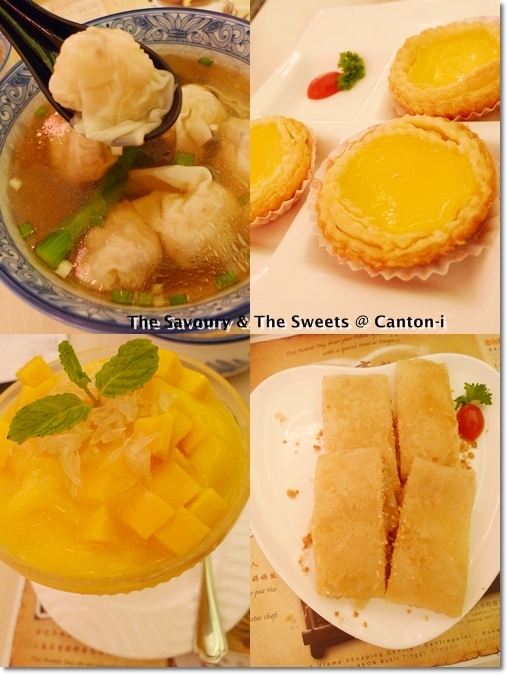 Canton-i on the other hand, prides on their Hong Kong dishes, from springy strands of egg noodles (wantan mee) and plump, juicy prawn wantan, to crispy roast pork (siu yoke) and gloriously caramelized Char Siew (BBQ marinated pork). 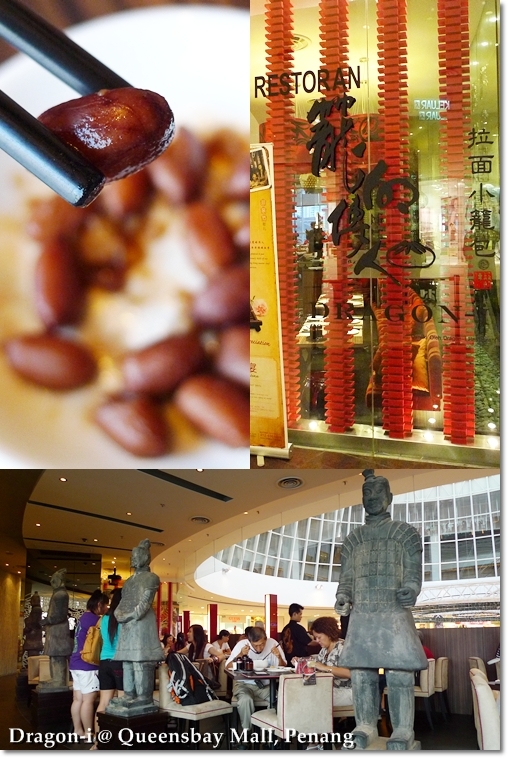 Din Tai Fung is hands down, the most renowned brand among the three. Originating from Taiwan, Din Tai Fung have expanded their culinary influence to all over Asia, and even in the United States and Australia. Currently, in Malaysia, there are two outlets in Kuala Lumpur alone. The first outlet opened at The Gardens Mall in Midvalley a few years ago (you can read my review HERE), while the second one started operations recently in Pavilion. You can opt for their value-for-money Weekday Specials, priced at RM19.80 nett per set, which comes with 6 pieces of dumplings (the combination changes from time to time), a main dish of either noodles or rice, and a cup of Chinese tea. By the way, the tall glass of white liquid is soy bean milk (RM3.50/USD1). Repeated visits to DTF (Din Tai Fung) had me convinced that the many accolades they have received over the years for their outlets overseas (the Hong Kong branch was granted with 1 Michelin star) are indeed well-awarded. The La Mian never ceases to please, especially when coupled with the variety of toppings, such as beef brisket, shrimp/pork wanton, Szechuan pork slices, etc. And I still believe DTF makes the BEST XLB amongst the competitors. Delicate folds (there must be 18 discernible plaits to justify the master’s technique, it seems) on the almost translucent dumpling skin, encasing the warm (not scorching hot, thankfully, else everyone would be having torched tongues after their meal) savoury broth moistening the patty of minced pork within. Some vinegar with finely-shredded ginger provides the extra zing, if you ever need one. Horrifying Terracotta Warriors watching you slurping your noodles? Nah …. they’re just part and parcel of Dragon-i’s signature ambience. I don’t mean to compare, but if you’re glancing at this shot above, and comparing this with the first photo of this post … well, literally heaven and earth huh? 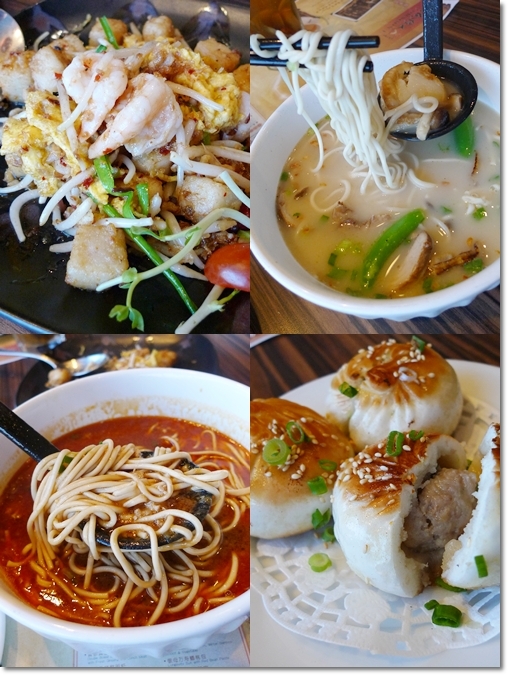 I have also written about Dragon-i before, back when we had a meal at their Queensbay Mall’s branch. Coincidentally, I once again write about our experience at the same restaurant, at the same branch this time around. Blame it on complacency, or utter laziness, but we found ourselves back to Dragon-i again and again whenever we’re at the same mall. Not to say that the range of dishes at Dragon-i’s are immensely stellar nor sumptuously gratifying, but you really have to taste their signature Honey Glazed Crispy Eel (RM16/USD5), which can be almost categorized as a snack, rather than a main. Addictively crunchy, basted with the glistening sweet and sticky honey concoction, you’ll see the plate disappearing before your eyes if left unattended. Especially if you’re dragging your children along! The XLB at Dragon-i did not manage to impress me, even after repeated orders. RM9/USD2.80 for a basket of 4 pieces, the dumplings may not lack in flavour as much, but definitely a notch below Din Tai Fung when it boils down to the aesthetics. Don’t Miss This. Damn the cravings …. The La Mian at Dragon-i are rather tasty as well, and you should not dismiss them without an order or two. Especially memorable was the Ma Lat La Mian (I think that’s how the name goes), which dunked the handmade noodles in a pool of blood-red chili oil-infused broth. Bananas, Mangoes, Lychees and Nata de coco? Erm, I wouldn’t go for this again. 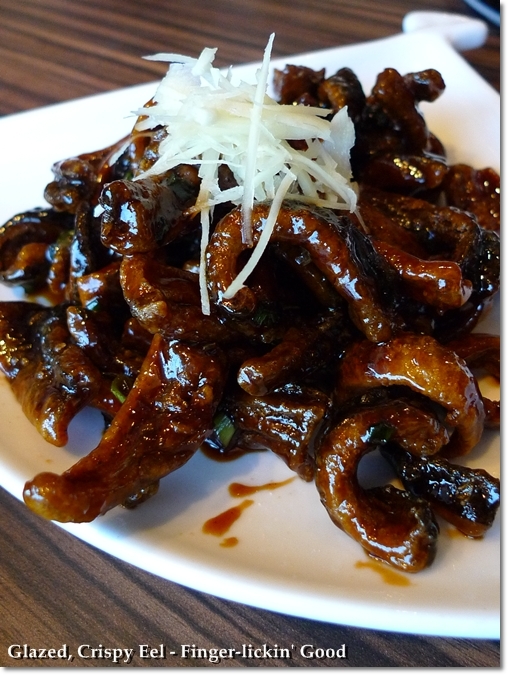 Dragon-i does offer a wider array of snacks and tidbits, compared to Din Tai Fung. 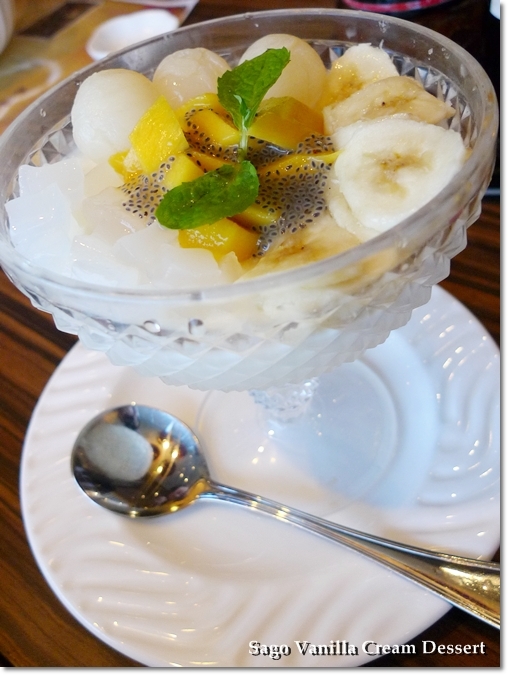 Last time we had the rather cutesy souffles with red bean and banana, but they were nothing short of …. disappointment. This time around, we opted for the Sago Vanilla Cream Dessert (RM8.00/USD2.50) which was not exactly tantalizing either. But DON’T MISS the XO Sauce Fried Carrot Cake. Yeah, slightly pricey for a Lor Bak Kou (RM12), but it was almost too good to resist. Way better than most of the hawker’s intepretation. Really! A sight for sore eyes indeed, Canton-i is all decked with Oriental elements, from the ornaments to the beautiful red lanterns. Last but not least, there’s Canton-i chain of restaurants with their tagline ” Truly Hong Kong”. No brownie points for guessing what they’re serving. I have since been craving, desperately I might add, for authentic Hong Kong cuisine back here in Malaysia after the glutton getaway back in 2008. The incredible Polo Bun, the succulent prawn wantan at Tsim Chai Kee‘s, and having dim sum the TRUE Hongkie’s way at Lin Heung. Looks may be deceiving, I tell you …. for the plate of Wantan Mee at Canton-i nearly had me sold, uncannily resembling its Hong Kong counterpart! 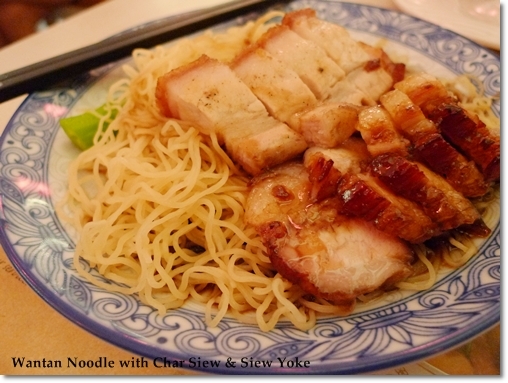 Down to the bouncy egg noodles and gloriously fat Char Siew. One may argue though, ordering a plate of Char Siew/Siew Yoke Wantan Mee for RM13.80/USD4.30 may sound exorbitant, almost comparable to Hong Kong prices. But to relive that brief moment of culinary adventure way back in Hong Kong was priceless. 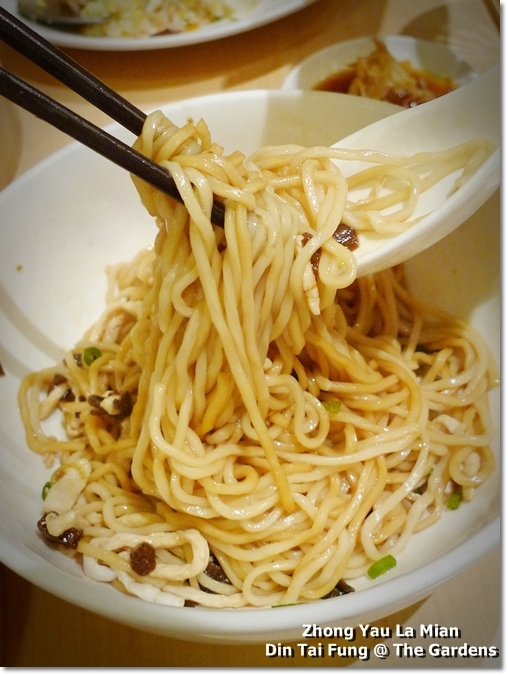 The noodles was good; without the unpleasant lye water taste, and with a slight crunch – just like how I like my noodles. But the crispy roast pork (siu yoke) and delicious char siew had me smacking my lips in sheer joy. Yes, you can get a plate of Char Siew Wantan Mee for RM5 or less at any random hawker stalls, but bear in mind that this IS Canton-i after all. Food in malls never come cheap anyway. The fresh, sweet and crunchy prawns enveloped within the thin, translucent wantan skin stole the limelight, indefinitely. Yes, 6 pieces of Prawn Wantan for RM11.80/USD3.70, but every cent worthy. And remember, not to compare with street food for you’ll be seeing stars ($_$). In the end, it all boils down to personal preference. For me, it’s the convenience of eating in the shopping centres, while waiting for a movie, or in between errands/work. Of course many detractors would be grimacing at the slight mention of ‘authentic’ Shanghainese/Cantonese cuisine served in these chain restaurants. But I certainly do not mind paying more for the ambience, quality and accessibility. 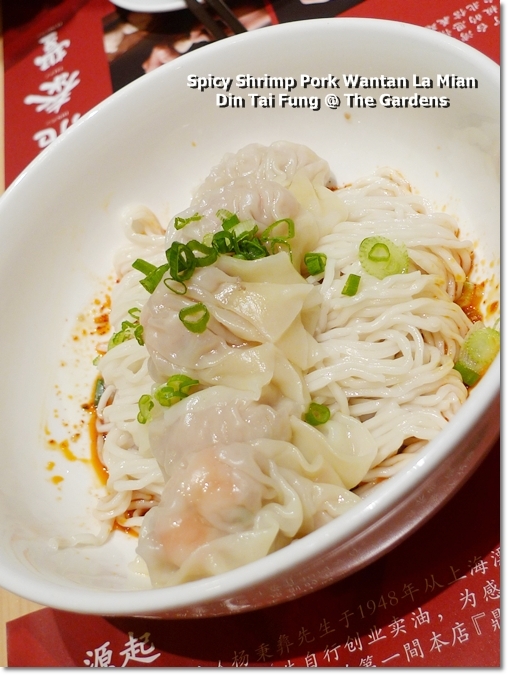 So, where do YOU go for your Xiao Long Bao/La Mian/Prawn Wantan Mee fix? Really? 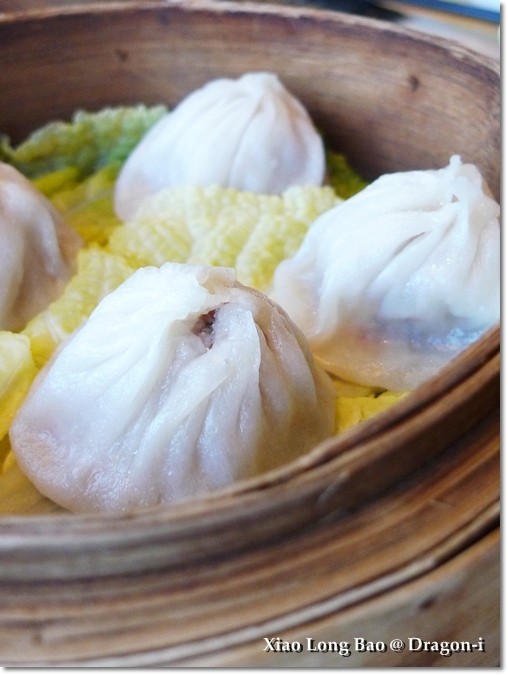 I have tried Dragon-i’s XLB twice, and DTF a few times. And yet everytime DTF’s version tasted better, and pleasant to the eyes. Hmm, maybe different outlets? Yes, they were very professional, different staff constantly walking over, checking our orders to see whether all the foods have arrived or not. True, J. I like Dragon-i for the other dishes, other than their XLB. It’s just an excuse of a post to include everything into one post, really. XLB defintely DTF! And the Cong Yau La Mian is awesome too! Btw, I still haven’t found the perfect polo bun in Malaysia! Ahh I miss Kam Wah Polo yau! None that I can think of, when it comes to Polo Bun here in Msia. Really nothing comes close when compared to Kam Wah’s right? 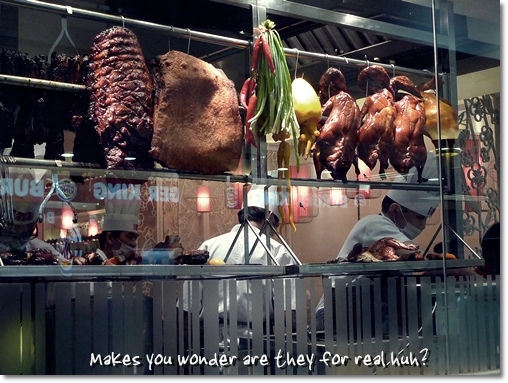 its funny..best xlb experience is shanghai @ jw marriott. when dragon i first came into shores, i think their xlb were good even compared to when dtf first came in but over the years i think there r more or less the same although dragon i quality is abit shakier as i understand everything is centralised kitchen and not made on the spot. Din Tai Fung’s version of xlb is the best! Tried it twice at their The Garden’s outlet and it beats Dragon-i by miles. well nice terracotta there!! wait…din tai fung is originated from taiwan right? why xi’an’s terracotta warriors? The terracotta warriors are staple of DRAGON-I’s, by the way. but when i try it at 1utama and sunway pyramid, its good! Erm, different cuisines, I’d say. While Yut Kee concentrates on more Hainanese food, Hong Ngek leans more towards Hokkien (or Hing Hwa) type of cuisine. Sek Yuen on the other hand, I have yet to try myself. Din Tai Fung like SHITZ? Haha … now that’s a rather harsh comment, sam. 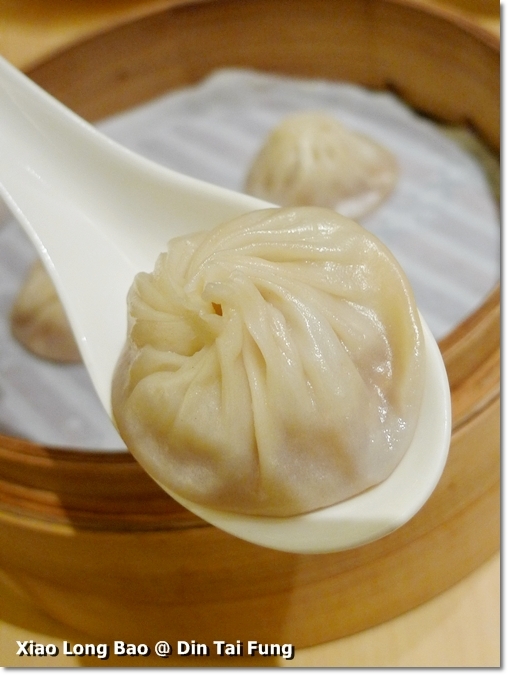 the xiao long bao skin is too thick, soup is dried up already, haizz…. Oh and I thought the DTF outlets in Taiwan or China should be nicer pulak. 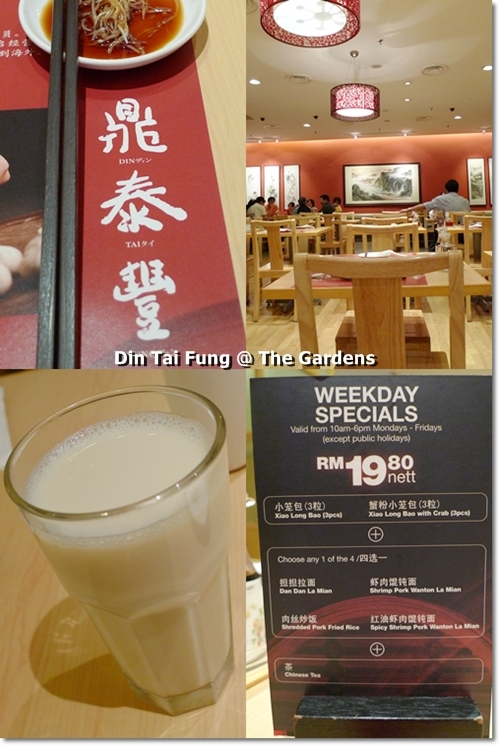 The ones at DTF, The Gardens have plenty of soup, and moist patty of pork within, no worries. Yut Kee’s chops are indeed so so … but I like their roti babi with a dash of Lea & Perrins. DTF in Taipei I have visit during my Taiwan Trip 2 years ago. The XLB there was fantastic! But what amazzed me most was the speed and quality of services, out of surprise, I cannot spot a single waitresses that is not leng lui there… 😀 In Taipei, DTF is very crowded with people queueing up at the entrance everyday.